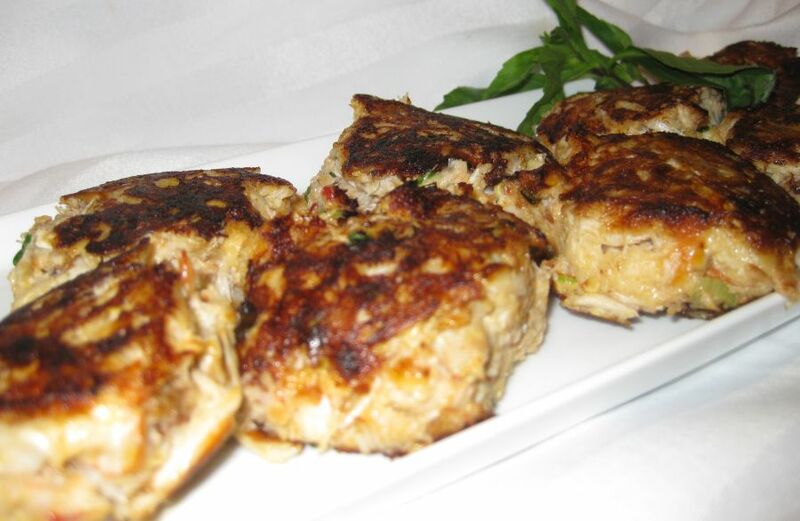 Crab cake is an American dish composed of crab meat an various ingredients such as milk, bread crumbs, eggs, mayonnaise, garlic, onion, etc... To me the best crab cakes should have very little filler and should be made of big chunk of crab meat. 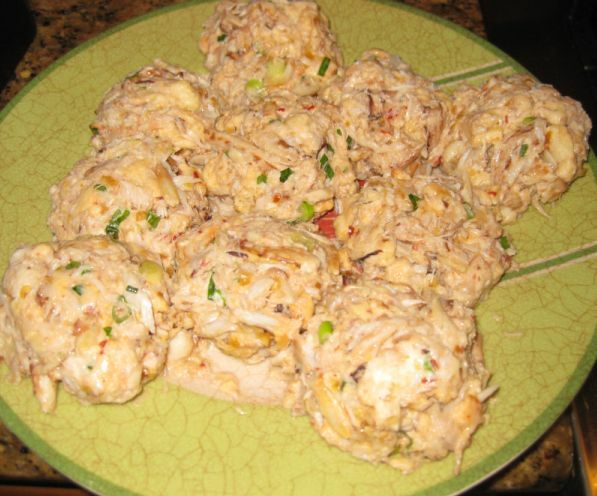 The star of the dish should be the crab meat so buy a good quality crab meat. 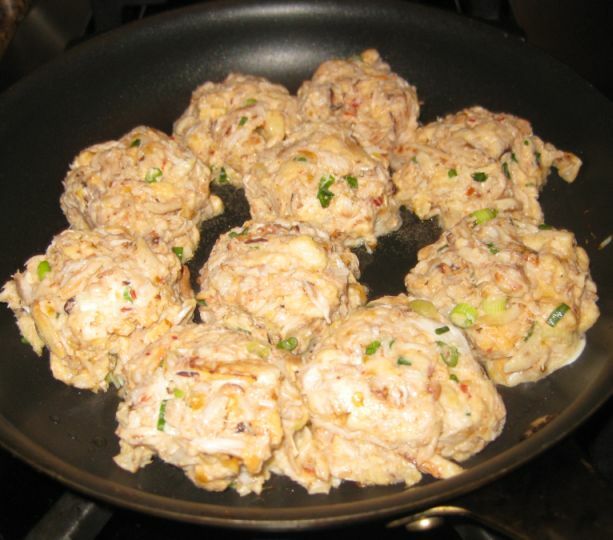 I added red chili paste to crab cakes to make it a little spicier and each time I served them they always disappeared in a flash. 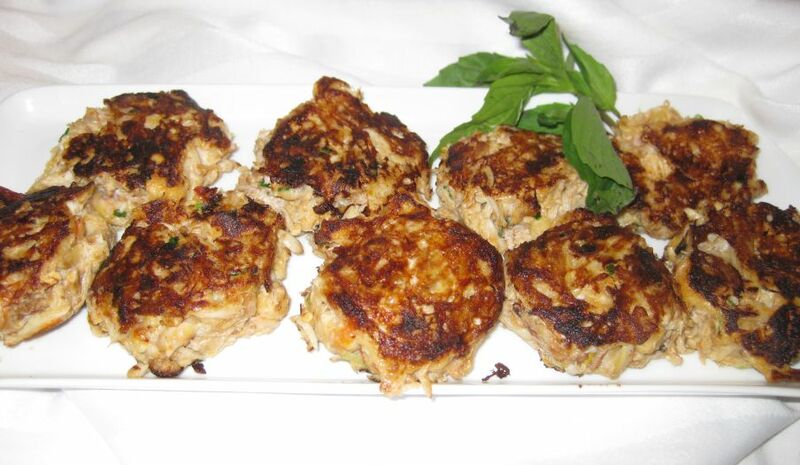 Crab Cakes are great as appetizers or served with a salad on the side. 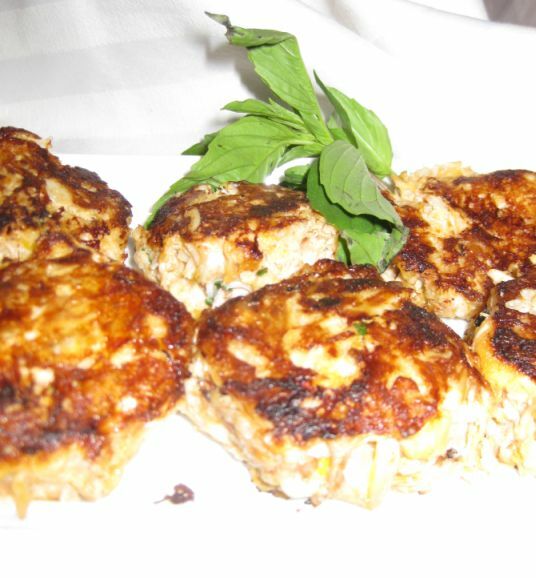 A beautiful plate filled with warm crab cakes! 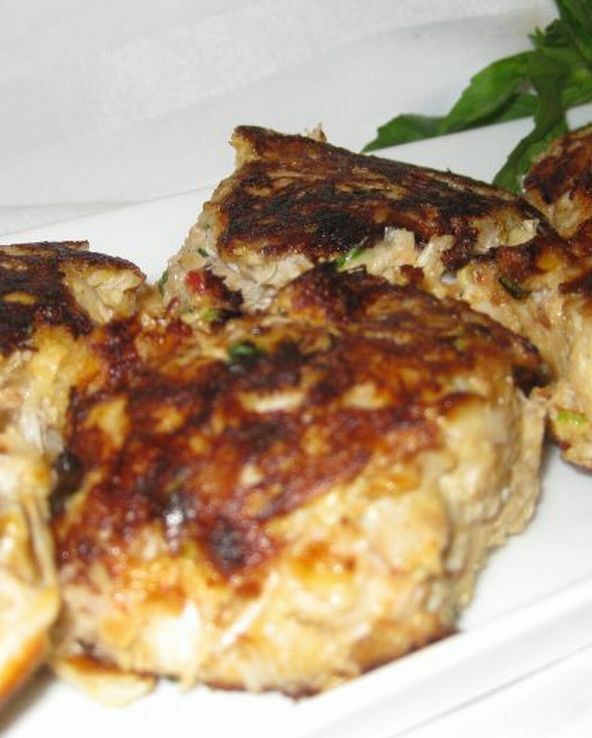 Crab cakes are usually formed into patties, breaded and then fried. 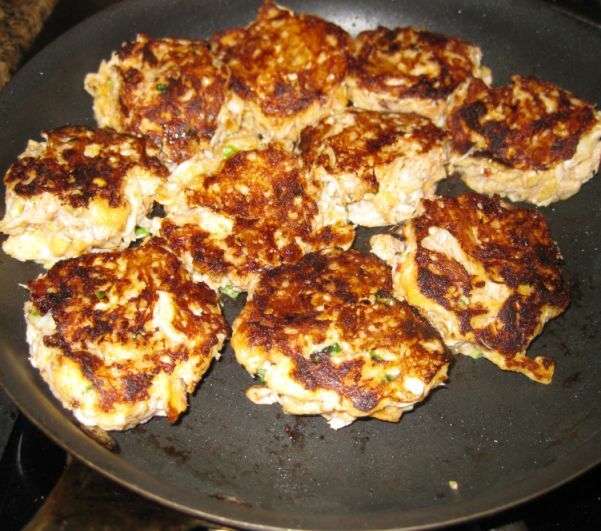 Mine are not breaded, I incorporated white fresh into the crab cakes and they pan fried from maximum flavor and they are also healthier this way. 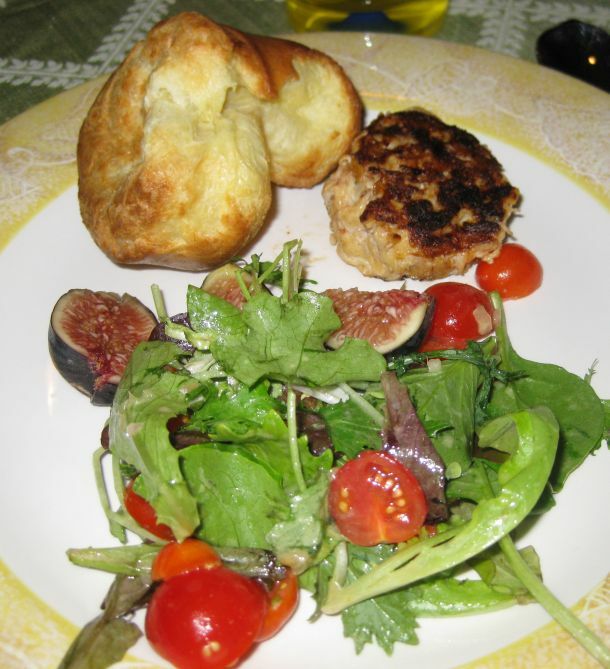 I served the crab cakes with a salad and a popover. 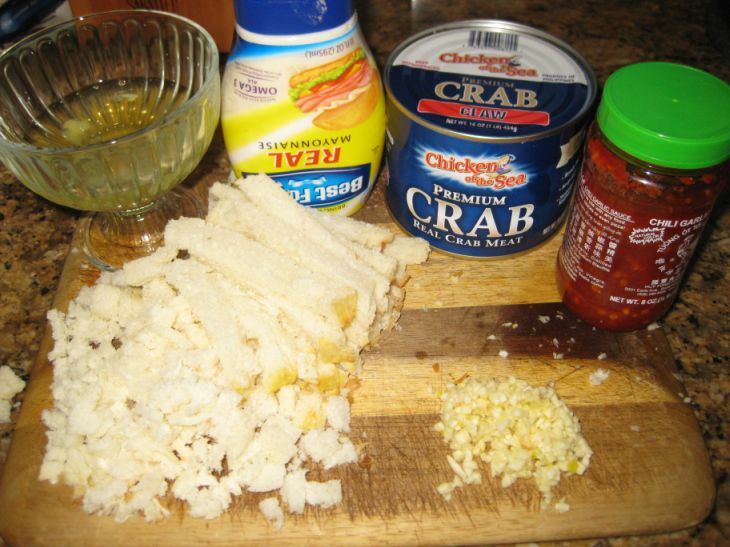 egg white, mayonnaise, crab meat (from Trader's Joe), chili paste, cut the crust off the white bread and then cut them into small cubes, chopped garlic. 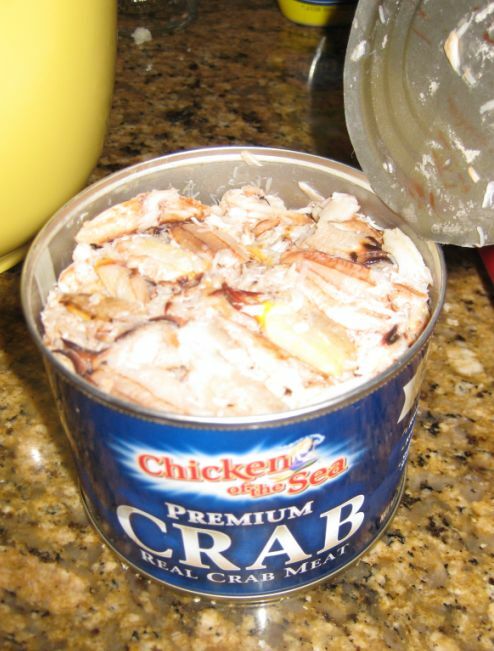 I use a can of real crab meat from Traders' Joe. They are pretty good but the best one I found are from Costco. 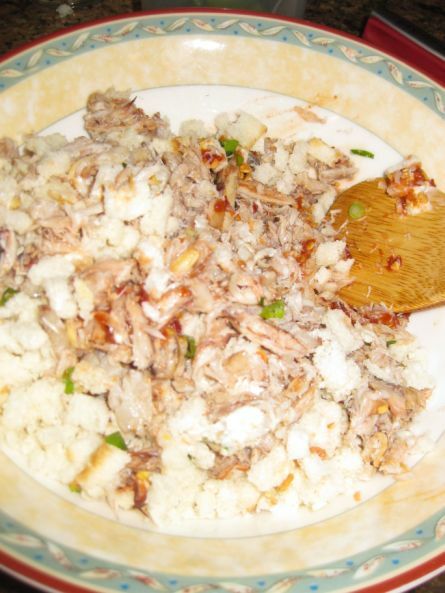 In a mixing bowl all the ingredients are combined and then salt and pepper are added according to taste. 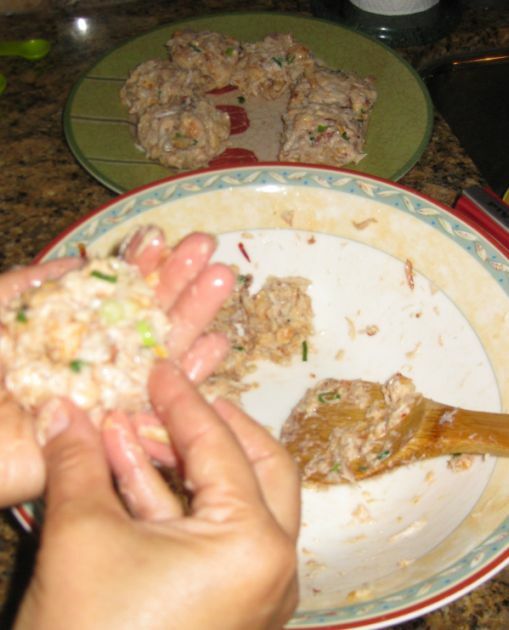 Mix gently and make sure not to mash the crab meat. 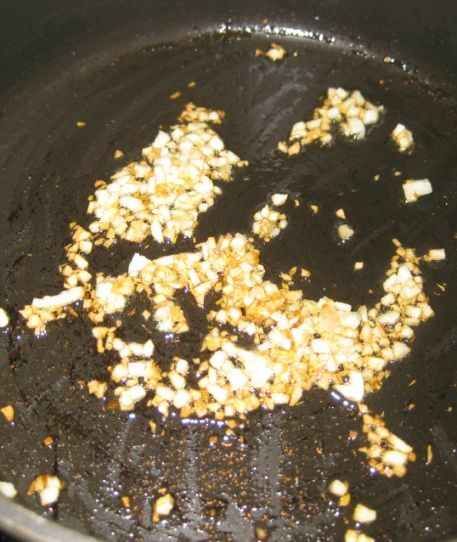 The mixture is then form into small cakes. 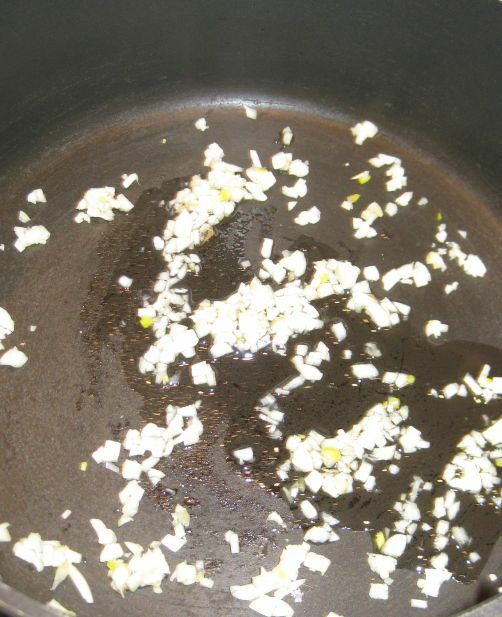 Next, refrigerate the cakes for about 30 minutes so that the flavors are allowed to blend together. Removing the cakes from the refrigerator and now they are ready to be cooked. 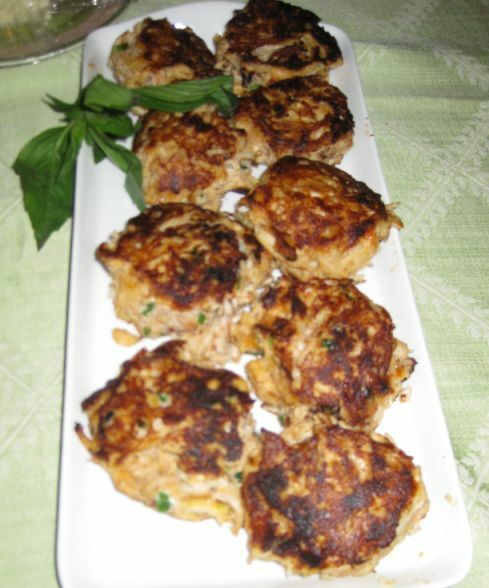 The crab cakes are browned and are ready to be served.